Originally published in the 2018 Newport Wedding Magazine. Getting around town with ease is key to a smooth, and memorable, celebration day. Whether you’re riding a bicycle built for two or renting a fleet of buses, here are some considerations to help you get your party on the road in style. Whatever your mode of transportation, book at least six months in advance, more if you have a wedding in May or June during prom season. Figure out who’s hitching a ride when and where throughout your celebration. 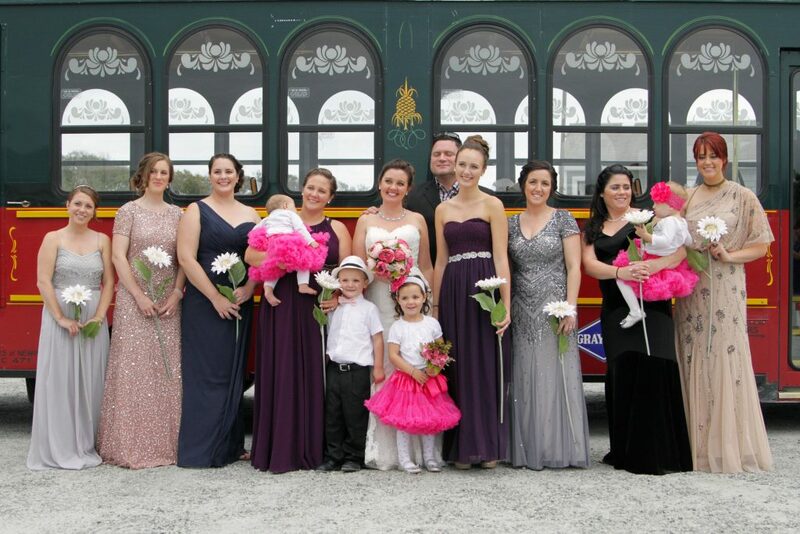 In addition to the bride and groom, passengers may include the wedding party, immediate family and out of town guests. 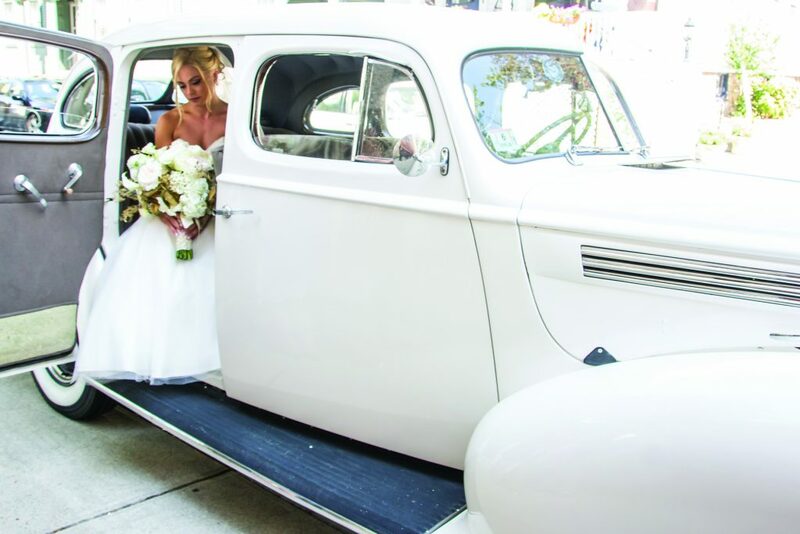 If you want to match your ride to your theme, but it is logistically impractical, stage a getaway photo op— think a bedecked bicycle built for two for a beach wedding or a rustic truck at a vineyard. This is a great day to borrow your uncle’s ’57 Mustang! Book your service in person, so you can view your options and go over the contract and details several times before signing. To help with traffic delays, pad each trip by an additional 20-30 minutes as well as have your passengers gather at as few meeting places as possible: For example, all the bridesmaids at the bride’s home and all the groomsmen at the hotel.